The Central American country of Panama announced this Tuesday that it's cutting diplomatic relations with Taiwan. Instead, it's setting up official ties with Mainland China, endorsing the Chinese claim that Taiwan is part of China. 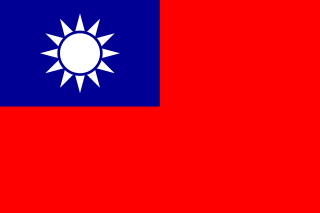 The island of Taiwan operates like an independent country today, but is governed under the constitution of the "Republic of China" (ROC), the government that ruled Mainland China before the communist revolution (the government that now rules the Mainland is called the People's Republic of China). Because the China-Taiwan dispute was originally over which side was the rightful government of China, and because the now-powerful Mainland government insists Taiwan can't be a separate country, other countries have to choose to recognize just one or the other. This is the first time Panama has ever recognized the People's Republic of China, having maintained relations with the Republic of China ever since it was founded in 1912 (long before the ROC government moved to Taiwan). Today, only 20 countries (about 10%) still have formal diplomatic relations with the Taiwan-based Republic of China government - the closest equivalent to "recognizing" Taiwan as a country. Before Panama cut ties this week, the last country to switch from Taiwan to China was São Tomé and Príncipe last December. Only one country, the Gambia, abandoned Taiwan between 2008 and 2016, during a "diplomatic truce" initiated by Taiwan's most Mainland-friendly president (even then, China waited until Taiwan elected a more independence-leaning president before restoring its own relations with the Gambia).